The way this is envisioned directly puts digital wealth back into the pockets of both the artists and Choon as a platform, respectively. There are a lot of conceptual things about this system that wrap into each other, so this post could get a little confusing which is why there is a short glossary of terminology at the very beginning. Beneath that, a few examples and ideas of what kinds of services an artist could be incentivized by in order to participate in staking $NOTES. Staking crypto lowers sell pressure, effectively keeping more of the staked crypto in the hands of users, giving the crypto move diverse abilities to be used outside of 'just another container of wealth', thus increasing its overall value. To stake: to lock away $NOTES into the Choon platform, still owning but effectively preventing the artist from transferring/selling $NOTES for a determined set period of time. Locked funds. The incentivisation for doing so is earning additional $NOTES through staking distribution and/or additional services granted on the choon platform. Staking split: any time an artist earns $NOTES from staking, the artist splits the output of the staked $NOTES with Choon. The higher the ratio of the staking split, the more the effect of the stake occurs. Daily Staking Distribution: staking distribution works similar to $NOTES distribution, a daily allotment of $NOTES provided by choon distributed amongst everyone participating in various staking ventures. The amount distributed is set by the amount of $NOTES you are staking away. The more $NOTES staked, the higher your piece of the daily distribution pie. $NOTES distributed in this way are locked for the duration of the stake and released at the same time as the original staked $NOTES. New website section very similar to top plays tracks, only set it to 'Top Staking Tracks'. An artist stakes an amount of $NOTES and provides a link to a track. For the next week, the ‘Top Staked Tracks’ page on Choon will display tracks posted by artists staking $NOTES, with a 'the more staked the higher the listing' basis. Fixed staking split of 50/50, stake lasts 7 days, during which the artists track is eligible to be seen on the ‘Top Staked Tracks’ page. The ability to use this service is unlocked once an artist has reached 25k total $NOTES earned, to prevent abuse. Example: Artist Amphlux has some $NOTES he wants to stake away and wants to get his track listed on the ‘Top Staking Tracks’ page. Amphlux stakes/locks away 50k $NOTES into the ‘Top Staking Tracks’ service on Choon, meaning he still owns those $NOTES, but he can not transfer them to another exchange or wallet in an attempt to sell them. When Amphlux stakes 50k $NOTES he provides a track as well. This track is then listed on the ‘Top Staking Tracks’ page for the next 7 days, the duration of how long the $NOTES are locked away. The tracks position on the page is determined by amount of $NOTES staked. After the staking campaign, 50k $NOTES are returned to usability, PLUS the amount of $NOTES accrued from the Daily Staking Distribution. 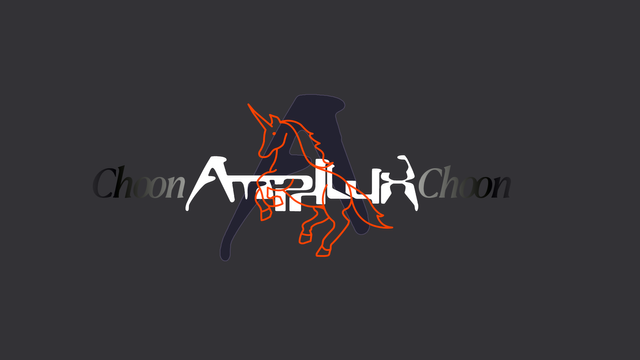 The amount of $NOTES earned from the Daily Staking Distribution are split between Amphlux and Choon at a 50/50 split. Similar to staking tracks but on a longer timeframe, Choon curates playlists of artists which cycles weekly. The selection of artists on this playlist is curating from artists using the Staked Playlist function. Fixed staking split of 50/50, stake lasts 30 days, the ability to use this service is unlocked once an artist has reached 50k total $NOTES earned, to prevent abuse. While Choon self promotes their site across the net, they will use a rotation of artist logos and acts who've staked into a promotional package. Fixed staking split of 50/50, stake lasting 90 days/1 yearly quarter. Unlocked at 100k total $NOTES earned to prevent abuse. Example: Artist Wav Dr. stakes 50k NOTES for Q1 2020 into Choon promotions. 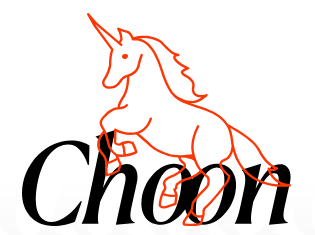 Choon promotes their own website across the internet to try to draw in more users. Within their ads they flash logo cards of various artists on their platform, and during the staking period, Wav Dr's logo would be in that list of logos. After the stake is finished, the $NOTES staked are returned plus the additional $NOTES from staking distribution, which are split at a 50/50 ratio between Wav Dr and Choon. 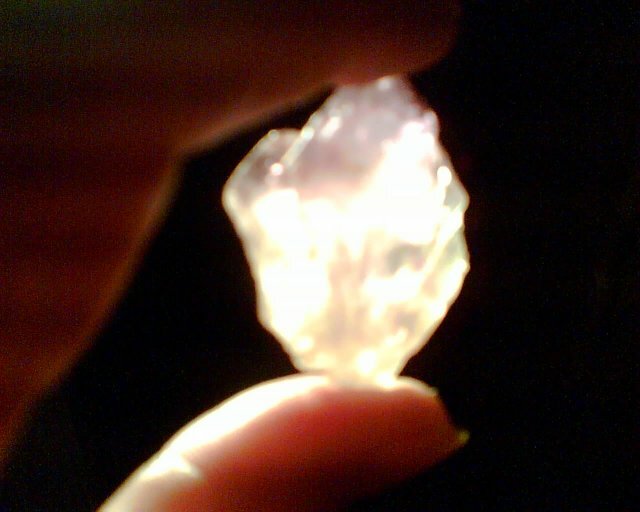 Similar to web promotions, with a shorter staking timeframe. An artist stakes $NOTES plus a track. Choon retweets their track from their official Twitter. Fixed staking split of 50/50, stake lasting 7 days. Unlocked at 100k $NOTES earned to prevent abuse. Choon number of tweets sent this way capped, highest staking first served basis. Example: Artist ComAdore just released a track on Choon and would like to get a little exposure. ComAdore stakes $10k $NOTES and provides a link to his latest track on Choon. If he has staked enough $NOTES, more than other people staking in, choon will tweet out the track provided from their official twitter handle in an act of artist promotion. After the staking has finished, the $NOTES staked are returned plus the additional $NOTES from the distribution. You get a portion of the staking distribution whether Choon is able to tweet you out or not. Same as twitter. Low number of days required to stake (1 week) a set amount of posts done by choon, the more you stake the better your chance that Choon will post your track. There are a ton of possibilities with this. Shortened list since article was getting too long anyways. But the more staking services offered, the better. Any incorporation of additional staking services increases the diversity of value held within $NOTES. The game is turning $NOTES from just a wealth container into a utility token. Taking it a step further, other examples of staking could involve staking $NOTES as a way to promote another artist. This could be done by listeners as well. A beloved artist releases a track on Choon. Another peer on the site enjoys the track enough to encourage it’s promotion. The user could stake $NOTES on any of the aforementioned services. At the end of the stake, the listener would receive their unlocked $NOTES, the $NOTES gained by daily distribution split with Choon, and the artist they love received the benefit of promotion. Another possibility is splitting/giving the rewards of your daily staking distribution away. Staking could be seen as another form of tipping, in a sense. An example: Gareth Emery is on tour. He offers a service, stake $NOTES, distribute stake rewards to him, provide a track. For the duration of the stake, Gareth Emery will create a setlist (his discretion) of pre-set DJ material composed of choon artists who are currently staking high amounts of $NOTES into his service. At the end of the tour, the stake ends. The original staked $NOTES go back to the artist. The accumulated daily distributed staked $NOTES earned is split 50/50 between Gareth and Choon. And finally, the artist had their material promoted and played during the pre-show in live venues all across the tour. Another theory to this, site interactivity will go up a lot as well. Users managing dozens of songs they’ve staked a few thousands $NOTES on a piece, some users staking large quantities of $NOTES on a single track, etc. Users may find themselves wanting to promote an awesome track but having most of their $NOTES locked away into other stakes, looking for a way to get more. This is a very direct route that buy pressure and buy price of $NOTES would increase. Users going to external exchanges to purchase $NOTES to bump the music they love. Let’s address the biggest con first. The new daily distribution of staked $NOTES. This would either have to come from another resource pool or from the current existing distribution of $NOTES. Distributing out even more $NOTES is technically a net loss for Choon, but I think the fact it is a giant incentivisation for staking to begin with, in the end, Choon will have fewer $NOTES with albeit with a higher value. The idea is listeners and artists earning $NOTES from streaming and site interactivity, and by locking away existing $NOTES will raise the value of $NOTES externally by keeping them off the market and increasing momentary scarcity. The biggest con to this entire post is the new pool of $NOTES needed. A workaround to this con would be setting the staked pool of distributed daily $NOTES small at first, and as site interactivity begins to grow, and users begin to adopt staking $NOTES as a way to promote and earn additional $NOTES through staking, increase the daily distribution allotment. The next con is the infrastructure that will be required to be built for such a grand idea. Webdev takes awhile to implement, and this would be a slow rollout process. Pros would be increased site interactivity, decreased sell pressures at first followed by a potential increase to buy pressures, adding value to the $NOTES token aside from merely an encrypted arbitrary container of wealth. Choon could build coffers with $NOTES outside of distribution pools by providing these staking services for a ratio cut of the staking returns. Another pro is the wider the selection of staking services, the more the token has a diversity of value. Some services may be underutilized, some may be overutilized, but having a large selection of different things you could do with $NOTES would truly turn it into what is commonly referred to as a utility token, or something that has a wide range of uses outside of just trading. In effect the biggest pro would be turning $NOTES into something other than a currency that you’ll want to exchange the moment you get it. Cryptocurrencies have a hard time with sell pressures, as there are thousands of various tokens and coins that a user could try to turn around and make even more of a return on. Turning $NOTES into a token with many uses, which can be used without liquidation, which when used also incrues a form of staked ‘interest’ in a sense, in my estimation would completely change the way people viewed the token. Why I put 'stake' in quotes: Staking cryptocurrency is a very technical term, and choon's method of staking is not mathematics/proof of stake driven, but platform driven. At this time. For cryptonerds out there, a good analogy of what I am envisioning is the site steemit, STEEM and STEEMPOWER. Steem allows you to stake your earned crypto away into STEEMPOWER which effectively increases your accounts overall social media abilities/power. As a person who uses Steemit, you earn crypto, but you are incentivised to hold onto it and reinvest it back into your account, opposed to just earning it and immediately selling it. Hey if you made it this far, check me out on Choon, please follow me, and add any tracks you may like to as may playlists as you wish! Thank you!